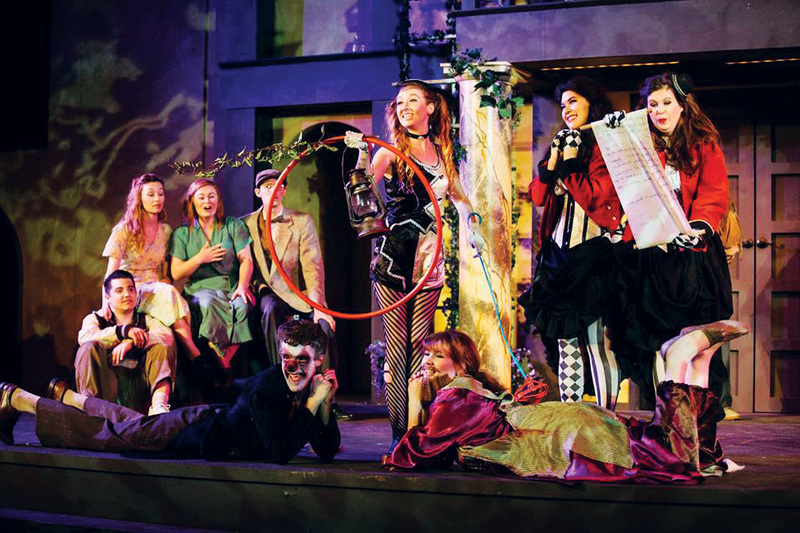 Although it was held separately from the university’s theater arts program, the June Courtyard Shakespeare Festival is very involved in CBU drama. The festival took to an outside stage to mimic the original intent of Shakespeare. It included performances by students, alumni and other local actors. “A Midsummer Night’s Dream” was directed by Garret Replogle, Wallace Theatre shop foreman, and “Romeo and Juliet” was directed by Frank Mihelich, assistant professor of theater. Mihelich said it was through the ideas of Replogle that this festival came to life. To prepare for the festival, auditions were held for actors from the Inland Empire, including CBU students. Once the actors were picked, they rehearsed all of May and made sure the performances were not on the same nights so an actor could perform in both shows. Each show had its own take on the original plays and ran over two weeks with four performances each. Miskel added that everyone who helped worked tirelessly to make the show the best it could be. “I can’t wait to see what happens in the future with this festival,” Miskel said.